Frosty Boy Chief Executive Dirk Pretorius has returned to Australia with a positive outlook for the country’s manufacturers and businesses looking to break into the Chinese market. 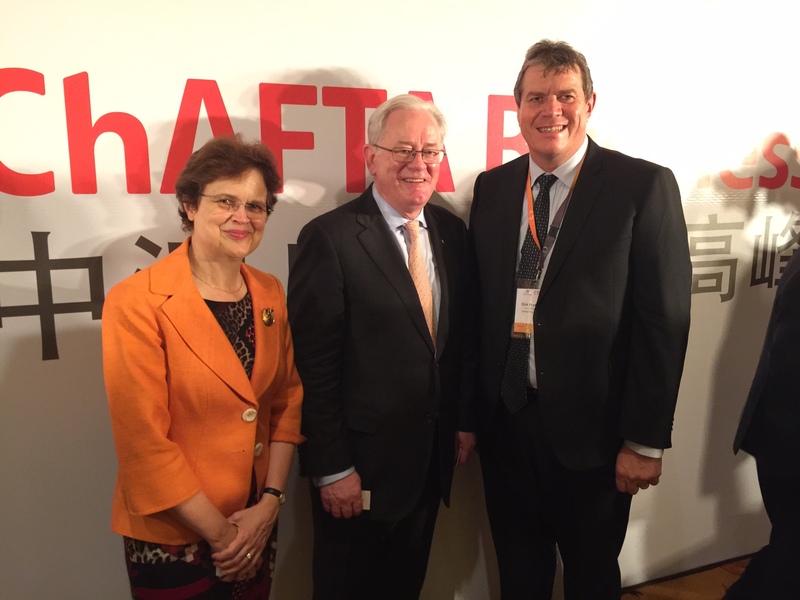 Mr Pretorius joined a recent trade mission to China with Andrew Robb, Minister for Trade and Investment last month and is fully supportive of the recent Free Trade Agreement (FTA), which now must receive the support of the Australian Government. “The FTA with China represents significant opportunities for many industries and businesses in Australia looking to expand into this massive market,” Mr Pretorius said. Frosty Boy has identified potential business growth and prospects in China that Mr Pretorius said will be realised or will be enhanced from the FTA, should it come to fruition. With Frosty Boy currently servicing 48 countries, including China, 75 per cent of Frosty Boy’s business is in export markets. Felipe Demartini, Frosty Boy National Sales and Marketing Manager, said through its research and development arm of the business and international experience, Frosty Boy is keen to work with local domestic businesses and franchisors to expand into new markets, including China. “Working in partnership, we will be able to bring an exciting taste of Australia to China’s doorstep,” Mr Demartini said. Frosty Boy recently received world leading food safety certification, providing retailers and suppliers across the globe with assurance the manufacturer is delivering the highest possible production standards. The manufacturer’s new facility in Yatala has received an Excellent rating in its Safe Quality Food (SQF) audit. An independent assessment, SQF is an internationally recognised food safety and quality management system and provides certification the manufacturer complies with food safety regulations in both domestic and international markets. “This certification provides our customers with added confidence that the Frosty Boy products are manufactured using best practice systems,” Mr Demartini said. For more information on Frosty Boy Australia visit http://www.frostyboy.com.au and for information on The Art of Blend range visit http://www.blendbeverages.com.au.